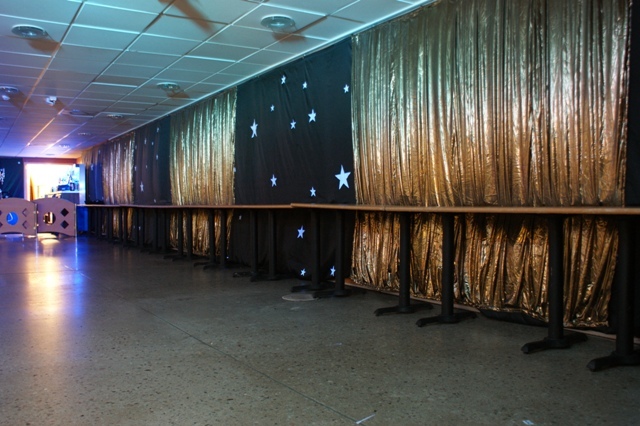 Gold Drapes make a classy feature at the back of a stage or uplit in a corner. Works well with Hollywood, Moulin Rouge, James Bond and Seventies Themes. The Gold Fabric is inherently Fire Retardant, very shiny and has hemmed and metal eyeletted edges for easy hanging and installation. We have Drapes ready ruched, or if our Event Team are Installing Decor for your event they can can swag plain Drapes to create nice lines. 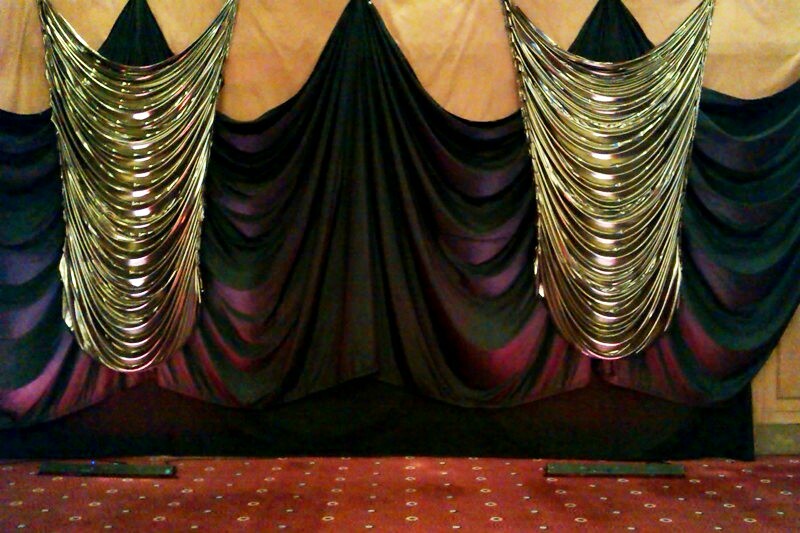 Golds Drapes featured on TV's "Don't Tell The Bride"